Have you ever been late in paying one of your bills? Plenty of companies charge a late fee if you are not on time. You won’t look too responsible and trustworthy if you are not capable of paying your bills on time. 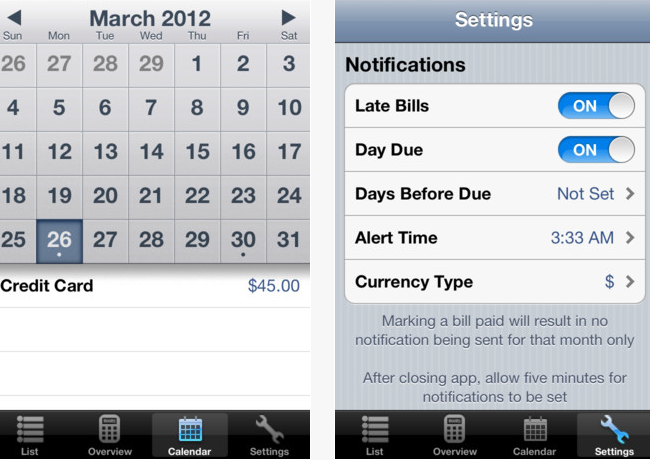 Monthly Bill Reminder is an exciting application that tracks your monthly bills and alerts you when a payment becomes due. 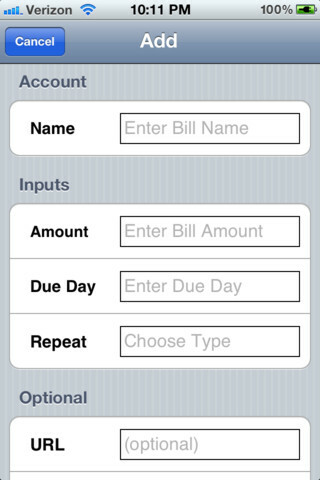 Monthly Bill Reminder has a simple and user friendly interface. 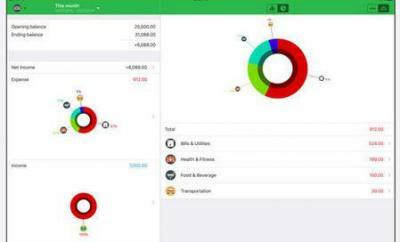 It allows you to add all your bills and track them on a recurring basis. Monthly, biweekly, annual, and quarterly bills are supported. 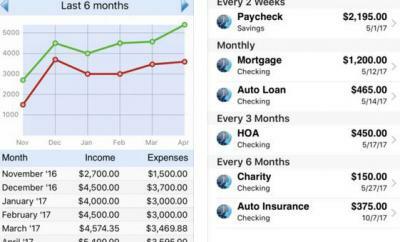 You also get a calender view to help you better keep track of your bills. The Bill Reminder offers notifications for late bills and your due days. 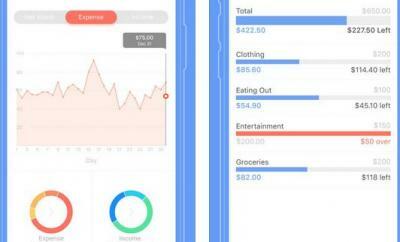 Monthly Bill Reminder saves you time tracking your bills. It is compatible with iCloud too. This tool could save you time and money in the long run. How would you improve it?